NOTE: Everyone is required to use Lake Santee (blue) garbage bags for items other than recyclables. CARDBOARD – All boxes must be flattened and placed in the bin provided. All cardboard is acceptable except coated boxes such as milk & juice cartons, downy refills, etc. TIN – Please rinse and remove labels. GLASS – Please rinse & remove labels. PLASTIC – Please rinse containers. NEWSPAPERS & MAGAZINES – Please bundle or bag. 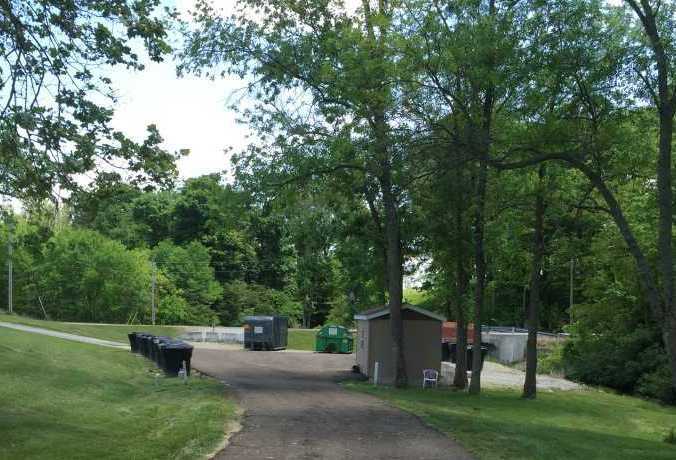 The following items are prohibited in the dumpsters: car and truck batteries, animal carcasses, asbestos shingles, lead based paint cans, any paint cans containing wet paint, liquids and fuel cans. Lake Santee offers special “Heavy Trash” opportunities. Check the Smoke Signals for dates. When Heavy Trash is available, bring your big items to the trash/recycle center during regular hours. A nominal fee will be charged by the attendant on duty depending on type and size of material. We cannot accept any items containing Freon (i.e. refrigerators, freezers, air conditioners, dehumidifiers), tires, wet paint, batteries, chemicals, fuel cans or liquids.